Beautiful hand carved wooden Rocking Horses, built using the traditional techniques used when making the original victorian rocking horses. 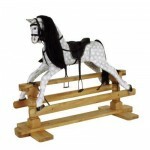 Our Rocking Horses are reproduced orginals of the victorian era and are made to the highest quality using pine and built to last through many generations to come. 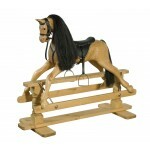 All our wooden Rocking Horses come on safety stands.